For lunch the other day I decided I wanted something different so I went to Vietnamese Noodle House on Swanston street for their Com Hen (rice salad with tiny clams). Unfortunately, they were sold out which was pretty annoying seeing as I was all worked up for it. This is the only place I've seen Com Hen for sale in Melbourne, which is a bit odd as usually all the less common Vietnamese dishes are in Footscray, maybe I just haven't searched hard enough. 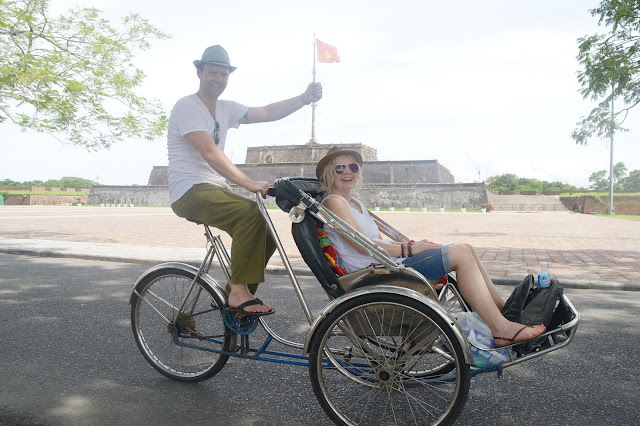 I first tried Com Hen when we visited Hue, we were accosted by the usual cyclo operators and as it was extremely hot we succumbed and agreed to a tour. It turned out to be a great decision as our guide was excellent and very responsive to my food questions. 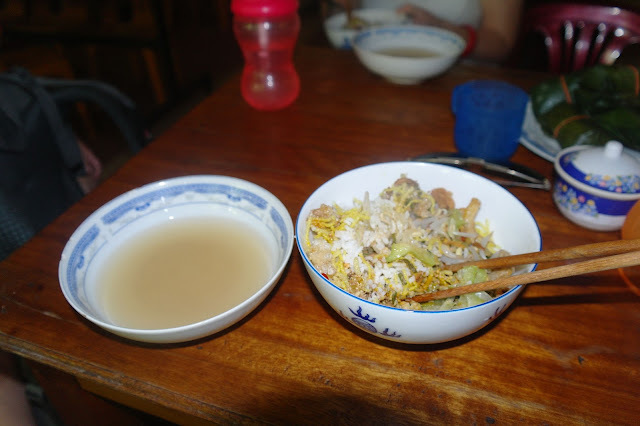 He told me that Com Hen was a specialty in Hue and took us to a great restaurant that we returned to the next day for another fix. Anyway, back to Melbourne. It was such a hot day that I didn't feel like noodle soup, even though Vietnamese Noodle House does pretty good versions of my favourites, Bun Rieu and Bon Bo Hue. So I left and headed up the road to Es Teler 77. This is an Indonesian franchise that has restaurants all over the world, I call it the Indonesian McDonalds. Of course they don't sell burgers, just great cheap pretty authentic Indonesian food. My go to meal is the Bihun Goreng cause I'm a sucker for vermicelli rice noodles. This is a great light noodle dish with a lovely array of asian vegetables and a delicious sauce that I always finish down to the last strand of noodle. My preference is for chicken but it also comes in a seafood option. 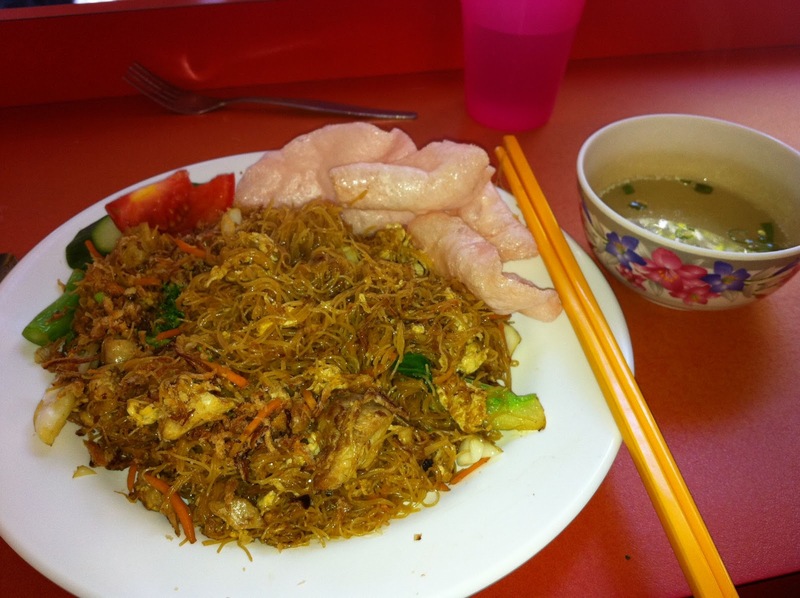 Its a great cheap lunch option too at $8. Es Teler 77 also have a Carlton restaurant which has a fancier fitout but the same cheap prices plus a few extra dishes that you can't get in the city restaurant like the braised ox tail special, delicious! Here's a link to an old 2005 review of Es Teler 77 by Matt Preston, he gives a great description of a few of the dishes plus a good story of how the franchise was born.